Sally Percival's son Alex (pictured) has a real passion for the second world war. A personal budget has enabled him to take part in historial re-enactments. Sally Percival remembers the moment she realised she needed to get her mum Audree out of the care home like it was yesterday. “I went to visit her, it was half past three in the afternoon. Mum had been put to bed for the night and was choking on her own vomit. Nobody could find her buzzer. The incident marked the lowest point of Audree’s 10-month stint in the home. It was a placement that Sally says left her mum, a former headteacher and award-winning photographer, “a shadow of her former self”. Seven years later and Audree’s care looks very different. She’s one of the 16% of over 65s in England receiving community-based social care support who use a direct payment, or part direct payment, to arrange their care. Among under 65s, around 40% receive direct payments. Audree uses the payment to organise care for her complex health conditions and dementia. The conditions have left Audree almost totally immobile, although Sally says she can still manage to “do her two favourite things – have a gin and tonic and a cigarette”. It wasn’t easy to get this support in place though. Audree’s social worker told Sally “quite clearly” that direct payments and personal budgets didn’t work for older people. But Sally fought hard because she knew the benefits a personal budget could bring – her 24-year-old son Alex, who has autism and a severe learning disability, has held one since 2001. “The difference in culture and knowledge of personal budgets between the learning disability team I was working with and the older adults’ team was quite unbelievable,” she says. Having the option to choose and employ their own staff has brought reliability and consistency to Audree and Alex’s lives. Alex has had the same personal assistants for the last 11 years – a stark contrast to the “one size fits all” service he received previously. “The service was inconsistent and often meant there were a number of different and new people turning up to our house to support him,” Sally says. The lack of adequate support also affected Alex’s ability to take part in his hobby. 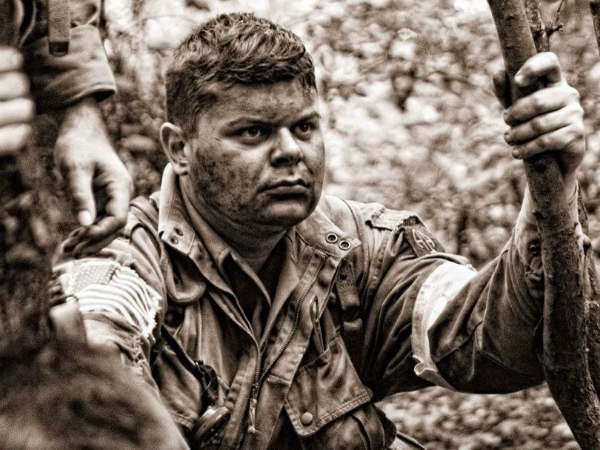 He has a real passion for the second world war and is a fanatical re-enactor. Now Alex has a personal budget, he is able to help towards the cost of his personal assistants taking him to re-enactments. He pays for all his own costs and the personal budget covers the expenses his personal assistants have, such as hotel bills. Being able to part in his hobby has also encouraged Alex in other ways – it has given him the desire to read and write, Sally says, and spurred him on academically. “It’s not easy for Alex doing a lot of the things he does, but his hobby really pushes him out of his comfort zone and has given him so much more self-confidence,” she adds. Sally now also has the opportunity to recharge her batteries and have a life for herself. “Personal budgets have had a major positive impact on all our lives,” she says. My daughter had a personal budget for 5 years which worked beautifully and supported her do some fabulous things with her friends and develop some real friendships. Our grip on a good life was however tenuous and a change in Local Authority staff lead to that good life being wrenched from our grip. Absolutely nothing changed for the Local Authority, no financial savings, exactly the same amount is paid every 4 weeks. For my daughter everything changed as she now has a direct payment (not a personal budget) and is not permitted to spend the funding on anything but a PA. this means she does activities with a PA now not friends her own age. I am having the same problems as Sally, I have inclusion body myositis, osteoarthritis of the spine and neck, myalgia, high blood pressure, problems with swallowing, and problems with falling and I am in a wheelchair, and cannot get help from the council or the CCG.